There are many great places to fish in Sydney, Australia, but arguably the best ones are Sydney Harbour, the Parramatta River, and Botany Bay. 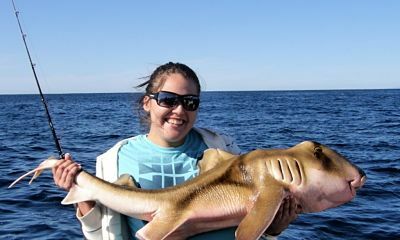 These places feature a large amount and wide variety of specimens for you to catch. Sydney, Australia is one of the most famous locations in the world, as well as one of the most desired vacation destinations. There is so much to do and see in this unique region that there is sure to be activities to appeal to travelers with any kind of travel goal or interest. 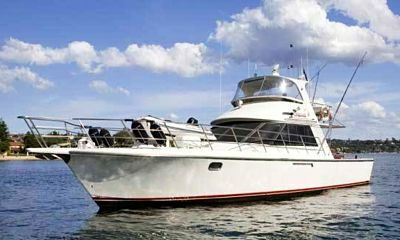 This is especially true for fishermen, who will find in Sydney a wide variety of fishing environments (and types of fish) that will be equally appealing to the novice and experienced fisherman alike. 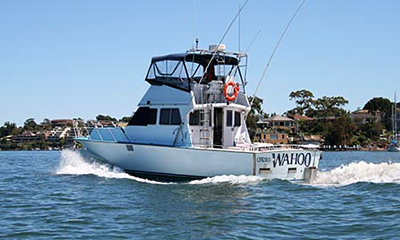 While there are innumerable prime fishing spots around the greater Sydney area, Sydney Harbour, the Parramatta River, as well as Botany Bay are a few of the premiere places for anglers looking to land a big one (or more). Whether you are fishing or not, the city of Sydney is a must-see during any traveler’s trip to Australia. This iconic metropolis is steeped in history and maritime tradition, as well as carrying the distinction of being the cultural and economic center of Australia. Home to the instantly recognizable Sydney Opera House, the Sydney Harbour Bridge, and a vast assortment of other landmarks, there is much to see in this amazing city. After a long day of fishing, anglers will find plenty of shopping, dining, and cultural experiences to entertain. If you cannot get enough of nature, you will not want to miss the chance to visit Bondi Beach, the Royal National Park, or the Royal Botanical Gardens. Maritime history aficionados will delight in the Sydney Heritage Fleet — a truly one-of-a-kind conglomeration of a variety of historic vessels that can be toured and even chartered. Sydney’s shoreline is dotted with lovely beaches and stunning architecture, and its interior features even more historic buildings, exciting activities, and entertainment options to investigate. Rich in colonial history, the town of Parramatta is the historic center of Sydney’s west side. Founded in 1788 (the same year as the city of Sydney itself), Parramatta carries the distinction of being the oldest European settlement of inland Australia. Aside from reveling in the historic ambiance, there is much to do in the town after a day of fishing. You can partake of the wares of Parramatta’s “Eat Streets,” famous for purveying delectable international fare, watch a game at Parramatta Stadium or a race at Sydney Valvoline Raceway, or even enjoy shopping at the ninth largest shopping center in Australia — the Westfield Parramatta. Originally referred to as “Sting Ray Harbour” in the journals of famed explorer James Cook (its European discoverer) due to the large number of specimens that the crew of the HMS Endeavor caught, Botany Bay has since been transformed into an area that features both cosmopolitan conveniences and natural charm. It is home to Australia’s busiest airport (Sydney Airport), and is also a popular scuba diving site (as the headlands are protected by the National Parks and Wildlife Services). The protection that it enjoys also makes it an ideal (and idyllic) place for anglers to try their luck and reel in some beautiful fish. For fishermen, few experiences match the serenity that can be gained by a day on the water or the elation of reeling in a particularly large and lovely fish. 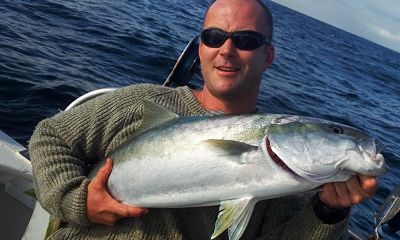 In Sydney, anglers will find a wide variety of environments to explore and sink their lines into, as well as a great many types of fish to catch. When it comes to cosmopolitan excitement, the beauty of nature, and exceptional fish, few places on Earth come close to being able to offer as much as Sydney Harbour, the Parramatta River, and Botany Bay in Sydney. 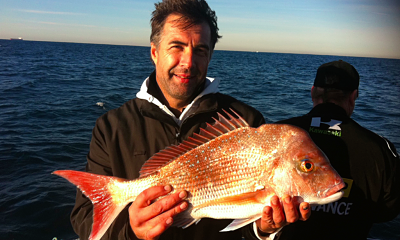 Charter your Australian fishing excursion today to experience the magic of Sydney for yourself.